This Flintstones house was built in 1976 in Hillsborough, California and has been designated a historical landmark. In 2017, the owner erected giant sculptures of dinosaurs, a giraffe, a mastodon and Fred Flintstone. Neighbors are no longer amused. Arizona is about to lose a Flintstones attraction. Yikes! And just before Easter, too. Notre Dame's spire and another section of the roof have collapsed. A few firefighters are on scene with hoses and water cannons. They're making some progress. The flames are not as high now and the smoke is not as thick. Probably means most of the wood is now burned. Sad. I hope nobody is hurt trying to battle the fire. Four hundred firefighters are now on scene and investigators are trying to determine the fire's cause and point of origin. There is speculation the fire may be connected to recent restoration work. Sixteen statues, representing the 12 apostles and four evangelists, had been removed last week but most of the works of art and much of the stained glass may be destroyed. There's a thread for this people!!!!! What a loss. I've been there twice. One firefighter has been hurt so far. Hopefully nobody else does. I'm betting that a construction worker was chain smoking and started the blaze. They will rebuild it. It's hard to find a cathedral that hasn't burned down at least once. It amazes me that they didn't retrofit the thing with a sprinkler system. You would think that for an iconic piece of history, that they would at least have gotten sprinklers into the towers and attic spaces. 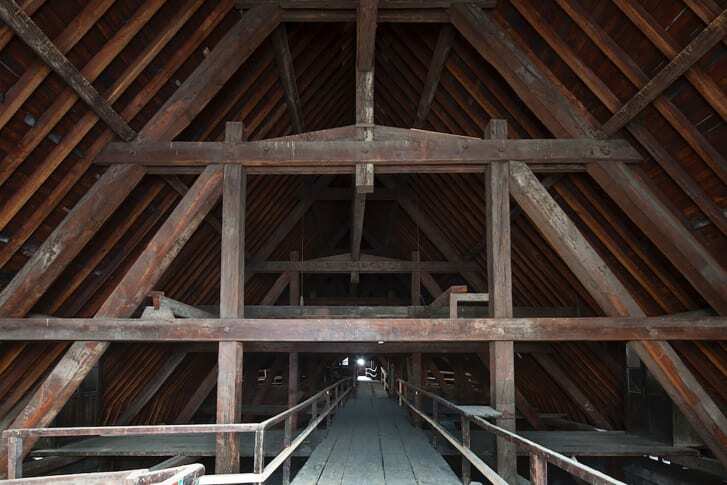 Two-thirds of Notre Dame's roof has been destroyed. CNN just quoted Laurent Nunez, Secretary to the Minister of the Interior: "The fire is now weaker. We are now in a time of cooling but both towers of the cathedral are safe. We're still working to save the cathedral's work of arts." "Work of arts"? Is that how they talk in France? Maybe they did, and maybe they disabled it during the reconstruction work. I'm just speculating. He's been drinking wine all day, and smells like burnt baguette and snails. We'll forgive him for all that Paris talk. I'm guessing that it wasn't much more than a tank that led to a hose at ground level that they could spray on furnishings and whatnot that might have caught fire. 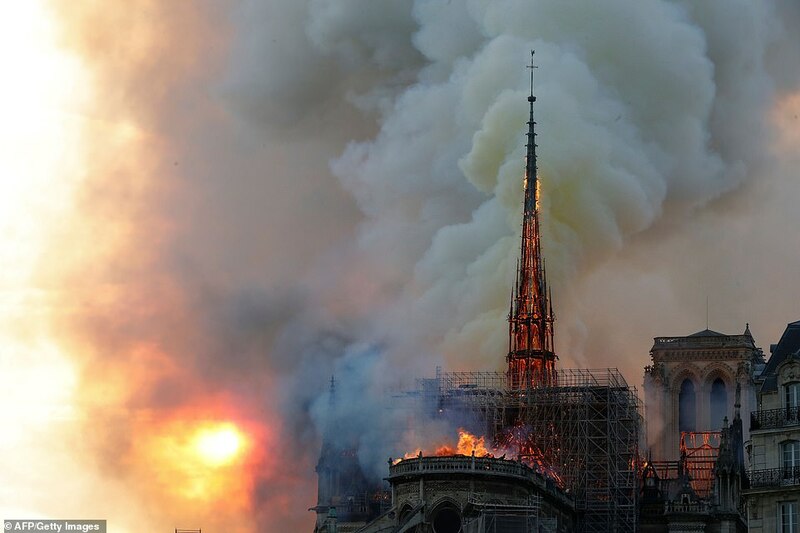 After eight hours, firefighters finally have the Notre Dame fire under control. 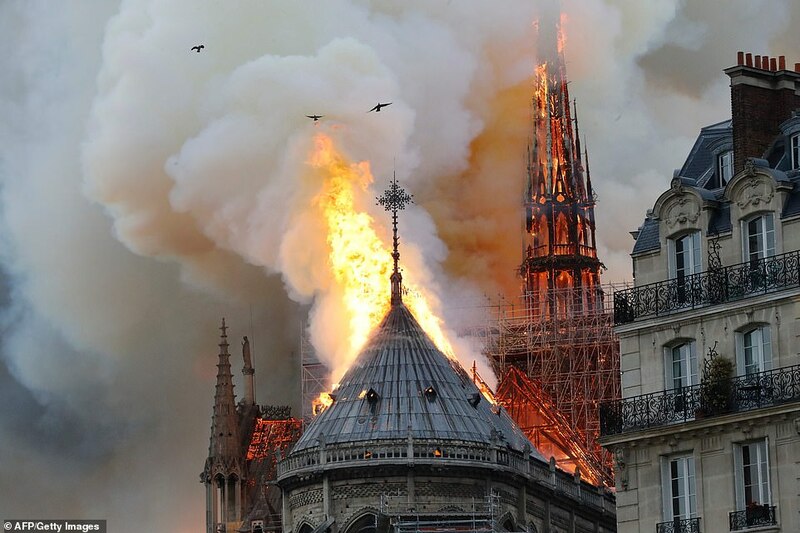 The Crown of Thorns, the Tunic of Saint Louis and many other sacred objects and works of art have been saved from the fire. Investigators say the blaze was not an act of arson or terrorism – it started "involuntarily." That must be a French word meaning "We really have no idea." It could have started from just about anything. A spark. Combustible chemicals. Blue flaming. Could have been a wildfire attack. Where was Cersei? Looks pretty fireproof to me. Heavy timbers actually do better in a fire than steel beams do. Here's a picture of a (I think it was a factory) fire where the steel beams softened enough to droop over some wood beams. The char on the wood protects it from the fire for a while, while the steel loses it's capacity to support itself much sooner. Same thing happened at the World Trade Center. Nonsense. Everybody knows it was the CIA that brought down the WTC.